As promised I have an actual review of Layla Hologram Effects. 2. Immediately buff the nails with ‘side 2’ and a glossy base coat will appear. [Side 2 is white so there is no confusion. But be warned to buff at your own risk]. 4. Apply Top Coat. 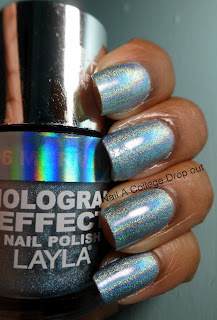 [I've heard mixed reviews about top coats dulling the Hologram Effect. Seche Vite seems to work just fine for me]. Sounds easy peasy lemon squeezy, right? That's because it is. If you'll notice the instructions don't say anything about a base coat. Reason being, you don't actually need one. I had no problems with staining. But because I'm a dyed in the wool base coater, I applied a few of these with my usual base coat and only had run-ins with streaks and dragging when I didn't let my base coat dry completely. That was quick and painless right? Thought so. A little less thug life. A little more hologram. Love the blue one so much!!! I'm going to need these asap! Pretty! 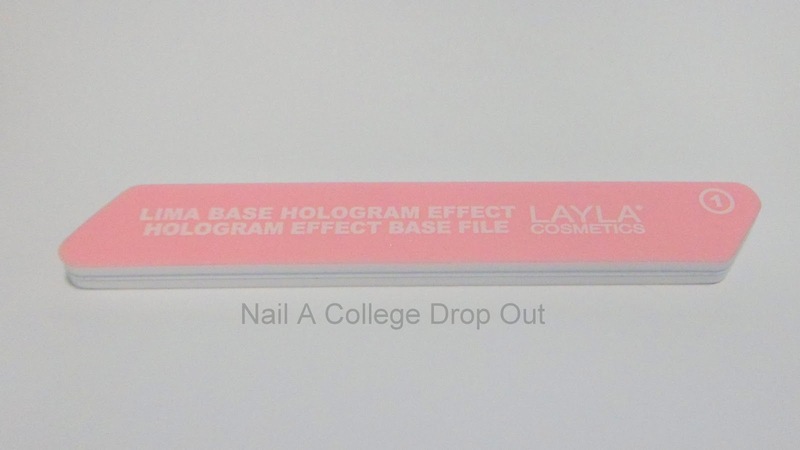 I also used my base coat, Seche Clear, and Seche Vite and had no problems when I tried one of the Laylas. Why don't we have Ulta here in Canada? =( I need these in my life! These are so pretty! i love them all.